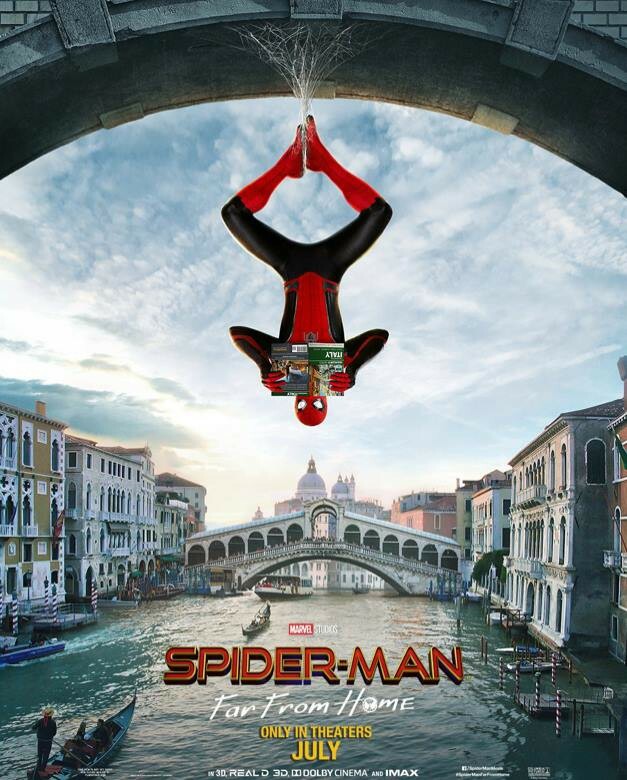 Three New Posters For "SPIDER-MAN FAR FROM HOME"
"SPIDER-MAN: Far From Home" released three new posters! Here they are for you Spidey lovers! "Peter Parker returns in Spider-Man: Far From Home, the next chapter of the Spider-Man: Homecoming series! Our friendly neighborhood Super Hero decides to join his best friends Ned, MJ, and the rest of the gang on a European vacation. However, Peter’s plan to leave super heroics behind for a few weeks is quickly scrapped when he begrudgingly agrees to help Nick Fury uncover the mystery of several elemental creature attacks, creating havoc across the continent!" 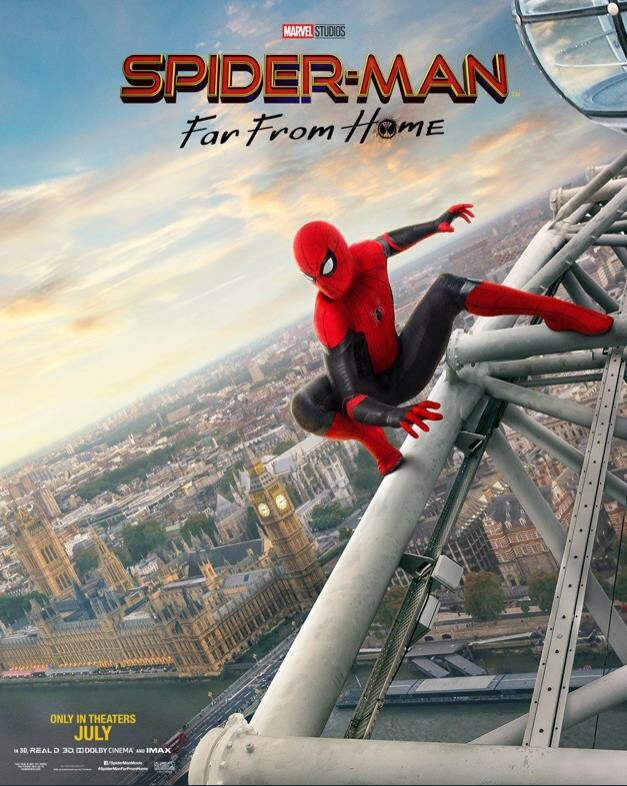 "SPIDER-MAN: Far From Home" stars Tom Holland ("SPIDER-MAN: Homecoming," "Avengers Infinity War," "The Impossible," and "Captain America Civil War"), Jon Favreau ("Swingers," "Chef," and the "IRONMAN" films), Zendaya ("SPIDER-MAN: Homecoming," and "The Greatest Showman"), Samuel L. Jackson (Nick Fury in everything Marvel recently, "Pulp Fiction" I'm sure you know the guy) and Jake Gyllenhaal ("Donnie Darko," "Nightcrawler," "Velvet Buzzsaw," and "Zodiac"). "SPIDER-MAN: Far From Home" is directed by Jon Watts ("SPIDER-MAN: Homecoming," "Cop Car," and he worked as a director on "The Onion News Network"). 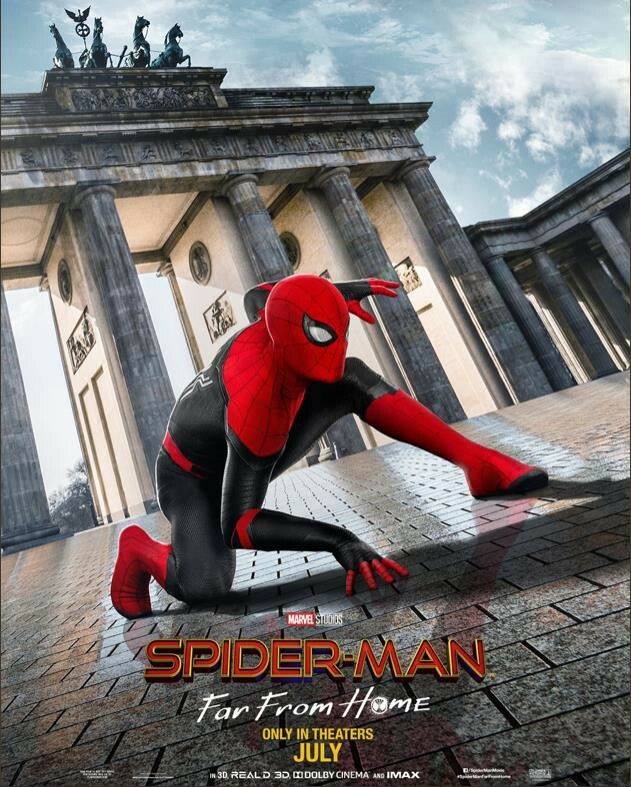 Well, what do all of you tangled up in the world wide web think of the three new posters of our favorite web-slinger in "SPIDER-MAN: Far From Home?" Behold the tiny but fierce Spider-Dan from the '80s (I still have that mask! ).